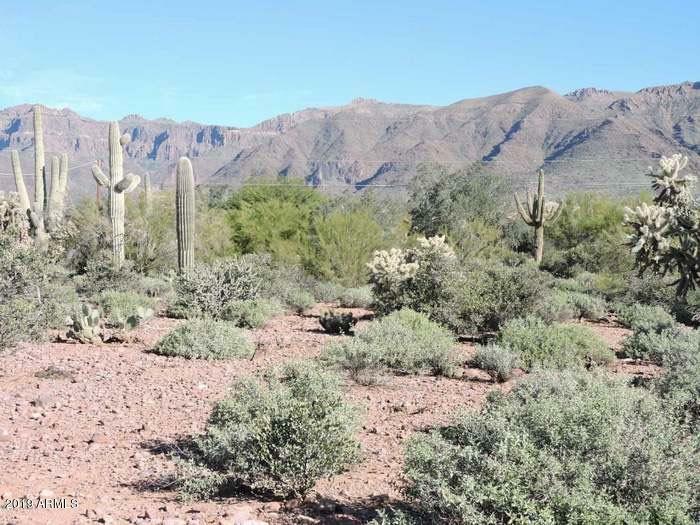 Approximately 2 acres to build your custom home with spectacular views of the Superstition Mountains. Relax and enjoy the leisurely life in one of the most beautiful, sought after areas of the Sonoran Desert in Gold Canyon. There is a golf course nearby stunning mountain views, saguaro cactus, desert wildlife and gorgeous wildflowers. You can build your home on the cul-de-sac, or build so your home can be entered off of Kings Ranch Rd.